Ardbeg Blasda was released in 2008 and is different from other Ardbeg expressions for a number of reasons. Firstly, at 8ppm it is lesser-peated; secondly, it is chill-filtered whereas other expressions are not; and thirdly, the ABV of 40% is the lowest of all Ardbeg releases. In Gaelic, “Blasda” means “sweet and delicious”. The nose starts with distinct milk and porridge flavours, then turns fruity with notes of lemons, vanilla, apples and a hint of pineapple. Smoke is quite prominent, much more than I would have expected given the low ppm level. The palate is light-bodied, clean and just a tad spicy. There is not much smoke there now, but the fruity flavours are back – this time lemons, peaches, vanilla – followed by a hint of nuts. The finish is of medium length, spicy and pleasantly warming. The lemon flavours make another appearance, together with smoke and pepper and followed by notes of coffee. I was looking forward to the Blasda experience and indeed this was interesting to taste, however in the end it did not really work for me. The nose was pleasant but in my opinion the palate is too light and tasted almost a bit diluted. Clearly, Ardbeg Blasda is not my first choice for lightly-peated single malts. An Arbeg at 40% and chill-filtered sounds like an oxymoron. Personally enjoyed the Perpetuum didn't buy a bottle, but left a good impression. I hear the next one Ardbeg is releasing will be called Dark Cove. Hope it is good one and released at reasonable price especially if no age is stated. The Uigeadail Is like if a peat wave hit me. Thanks for your comment, @MrFathom. I have high hopes for Dark Cove as it apparently will have been exclusively matured in ex-sherry casks. That's the good stuff right there! Let's see how it will compare with Uigeadail. Perpetuum was disappointing but still I bought two bottles. Slainte! First review! Recently celebrated Ardbog Day 2013 with my father, family, and some friends. Had an all day whisky tasting with food pairings. We like to try and pair food to whisky though that doesn't always pan out. I will probably share more of the actual event in the forums sometime (with pics). It was an all day affair with three "meals." Small pours and lots of food. We decided to start with the lightest Ardbeg we had. Ardbeg Blasda was paired with grilled watermelon with balsamic vinegar and black sea salt. Nose: opens with cream and limes, then some sweetness, like cotton candy, and the peat is definitely present, maybe something like bandaids, and a little salty breeze. Taste: light in the glass and on the palate, again soft citrus, gentle peat, a little salt and barely there pepper. Finish: short to medium, sweet and peaty, fragrant incense without a lot of heavier smoke. Overall a nice dram, a good opener for Ardbog Day (can't go too heavy at 11 AM EST when we started-which is 5 PM Islay time). I sort of consider it revealing one of the essential Ardbeg undertones. But in the end it leaves me longing for the industrial adulterants of other expressions. Food note: It worked pretty well with the grilled watermelon. Our local whisky club had met for the second time a couple weeks ago and the evening was slowly winding down. Everyone had encountered whiskies that they enjoyed with the members trying Ardbeg Galileo, Aberlour Abunadh, Talisker 10 year old, Glenmorangie Nectar D'or and a semi unfortunate Jameson's 12 year old. My brother in law had joined me in Campbeltown, Islands and Islay whiskies with very pleasurable results for the two of us. Lots of flavors and aromas and awesome mouthfeels. It was time for us to grab our next drams and I was eyeing the Ardbeg Blasda. Ardbeg is one of my favorite distilleries and at this time possibly my favorite Islay distillery and I'm always eager to try a whisky from them. So I grab a dram of the Ardbeg Blasda at the very reasonable price of $16 for a dram and join the group. Now from everything I've heard and read the Blasda is an experiement by Ardbeg in producing a whisky with much lower peat levels, something like less then half of the normal peat levels. The nose is still peaty, but it's nothing like the Ardbeg's that most of us have tried before, 10 year old, Uigeadail, Corryvreckan, Galileo, etc. It's a light peat smoke with just hints of charcoal, fruity with pears, apples and LOTS of lemon and lime. Very citrusy. The palate follows the nose pretty closely, less smoke, more fruit. It's fairly sweet and even tart at times and is definitely an interesting deviation from the standard Ardbeg. A short finish with peat and lemon sherbert end this interesting little experiment from Ardbeg. This was an enjoyable little whisky and one that I'm glad that I got a chance to try. If you look hard enough you can find it in Australia for roughly around $110 or so, not a bad price for a nice little whisky. However all that being said, if you're a huge peat freak I don't think you're going to walk away as happy as I did. Ah Ardbeg, generally the beast of Islay, and the Blasda is promoted as essentially the softer side of the distillery and region. After getting through a bottle of this, I find it hard to disagree! Of course, the peatiness and smoky characteristics you associate with an Islay malt are here in abundance, but as described, it’s not as powerful or as meaty as the standard Ardbeg. It’s a very pale, light yellow whisky, looking deceptively young. When tasting the dram, the Islay character is there, but there’s almost a lighter, fruity hint to it, making the whole thing softer round the edges and easier to handle. Actually I think the best way to use this would be to introduce whisky drinkers to the Islay region, not as heavy as others, but with enough of a kick to welcome you aboard! It’s a good whisky, nothing too amazing, I’d buy the standard bottle over this is pressed, but still enjoyable and worth taking the time to explore in order to expand your whisky experiences! 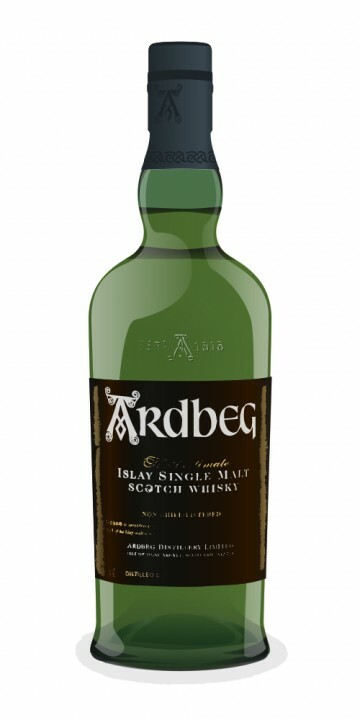 This is one of those Ardbeg expressions that I have not tried, but I feel tempted to so after having read your review. Thanks for the feedback, glad my review has helped! It's a decent little dram, worth a go! Blasda, means 'sweet and delicious'in Gaelic. Those are indeed the exact words of this great fresh dram from the legendary Ardbeg. I pour some of this treasure in my green large Ardbeg thumbler. I added a bit water, for letting all fragrances and tastes getting loose. The nose tells me that there are a lot of juicy fruits like pear and apples, smoke and a some peat on the background. The freshness of the fruits are really there. The taste gives a real fresh and a delicate taste, totally not strong, the peat is really not here, it comes at the last aftertaste a bit. Still the fruity parts of fruits, spices takes the over rule in this devine Blasda. The finish is short, peat and sweet. Marvelous dram for the late night springs and summers. Also good late in the afternoon to share it with love-ones or alone. Recommended for people who like fresh and fruity whisky with a bit peat in it. You can say it is a fresher version of his 10 year older brother, the Ardbeg 10 years old. a 'Fresh and Wonderful', dram. a Great creation of Ardbeg! Taste: Sweet mixture of almonds and dried fruits. Very gentle peat and leads to a light spice and creamy coffee. A friend of mine recently bought a bottle of this and was kind enough to let me have a dram. The wording around the traps on this bottle has been a little mixed. Even those who quite like it tend to say things like it isn't very Ardbeg-'like.' THe blurb you see repeated everywhere that this is an experiment with lower peating levels, being peated with a phenol level of a 'mere' 8 ppm, as opposed to the usual Ardbeg levels of 24. The nose for me was very savoury. The peat was still quite evident, but unlike other Ardbeg's I've tried, there were only the barest hints of smoke and iodine. Oak undertones and old leather smells were also present. The only sweet smell I got was just the barest hint of pears, and even then it took 10-12 sniffs to get it. I was really surprised by this, as most of the reviews I've read of the Blasda had the nose as very light and sweet, but for my friend and I, it was very savoury. The taste was was almost two-faced. Initially very light and refreshing, with pears, caramel and a nuttiness coming through. As the whisky warmed in my mouth through a couple of chews the peat started to make its way through and just as you swallow the 'second-face' comes through as a wave of warm peat, old leather and oak, virtually burying everything else. The finish is a little short, but warm, and is a carry on of the wave of peat, leather and oak, with a hint of sour cream, and that fruity pear note is still there when I look for it. A session whisky is a whisky you drink when you want to have a drinking session, not just enjoy the drink, but get a fair way through a bottle in a session. Most 'sessionable' whiskies have short finishes (like this one), but as a result they feel like they are somehow missing something. This one is different, it kept me interested through the whole process and I reckon I could sit down and get through half a bottle with no issues, and not feel like I was missing anything. Other writers are correct though, this isn't very Ardbeg-'like.' Most Ardbeg's are masterpieces, and have to be savoured for several minutes per sip, and a glass can last you hours without any issues. This isn't like that at all - it's a proper drinking dram, and on those days when one or two glasses aren't enough to ease your burdens, this whisky could be the answer. Would like to try Blasda, but probably not buy. OK, for starters, this is only the second Ardbeg I've tried, after the 10 Year Old (which is without a doubt one of the best Scotch's I've had so far). So Blasda gets a head start. And since Blasda is gaelic for 'sweet and delicious', expectations are high. Blasda is sometimes referred to as the 'Ardbeg Light'. I'm sure the people at Ardbeg are not very fond of this nickname, but it's not illogical to be called that, being bottled at 'only' 40% ABV (while apart from Serendipity, all other Ardbegs are at least 46% ABV) and 'only' 8 ppm (while their other bottles are usually 24 ppm). On the official Ardbeg site, they explain this as follows: 'We undertook an experiment: to tame our usual mighty peating levels all the way down to just 8 ppm in the bottle'. When I first nosed this (unaged) dram, the peat was still very much present, along with some lemon juice and smoke. On the palate, this Ardbeg is pretty soft and very clear and while some fruit comes out to play - tinned peaches turning into apples - the dram lacks body. I'm sure many Ardbeg fans will be dissappointed with this one. I'm not, but I'm certainly not impressed. The finish is rather short and spicy, but unlike the 10 Year Old, it's fast forgotten. Jim Murray gives this one a 90,5 in his 2010 Whisky Bible. Too much to my taste for this albeit great dram. Nicely reviewed, I'd be interested to try this. I saw a video review recently and its tempted me to give it a go. I agree with this review. If you like the strong Ardbeg taste and smell you are easily disappointed by Blasda. If you like just like some peat it will be nice for you. This one I have not owned, just tasted. It is a complete disappointment, not what to expect from the famous Ardbeg. Put your money on some other bottle of Ardbeg, like the regular Ten. Nose: light and very clean. Quite fruity with juicy apple, fresh lemon and some kiwi. Still noticeably peaty, more than you would expect, with notes of ashes. Slightly coastal as well. Mint. Mouth: again light and clean. Sweet peat, peaches on syrup, lemon. A bit too shy in my opinion. It’s probably too young to have a lot of character. Finish: spicy, peaty, lemony. The nose, the palate and the finish are really playing in the same field here. You could call that harmonious, or you could call that a bit boring.